Welcome home! This bright and sunny Charleston Elite model center hall colonial boasts hardwood floors throughout! Dramatic two story entrance, leads to a spacious formal living room with french doors opening to the family room allowing for that open concept for hosting large gatherings. Family Room with an abundance of windows overlooking large level back yard also has a gas burning fireplace and is open concept to the spacious kitchen with granite counters and center island. Beautiful formal dining room with bow window. Also on the main level is a newly renovated in-law suite. This area can be used as a two room suite with beautifully renovated full bath or office and guest quarters. Step through the sliding doors to a lovely screened porch and access to a very large freshly painted deck. Main level laundry/mudroom and renovated powder room complete this level. 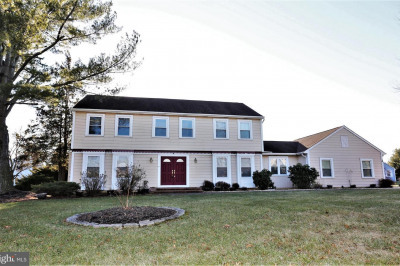 Upstairs you'll find a master suite with sitting room or office, spacious walk in closet and a newly renovated spa like bath featuring a slipper tub, large stall shower and dual vanities with granite counters, three additional bedrooms and renovated hall bath. 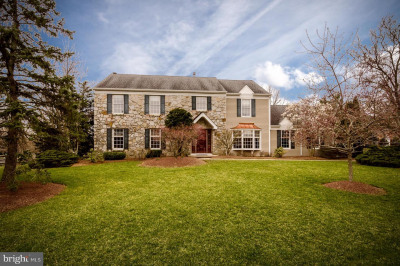 Close proximity to trains and major roadways and the award winning West Windsor-Plainsboro School system. 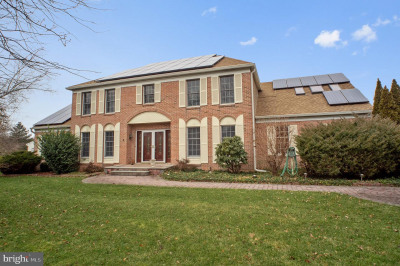 Listing courtesy of Weichert Realtors-Princeton Junction.